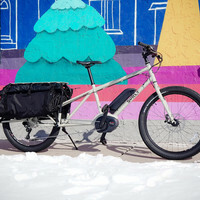 Earlier this winter we were able to ride a Tern Vektron S10 for a few weeks to review. After riding it in various conditions we can say that this small bike packs a surprising punch. First, it folds. 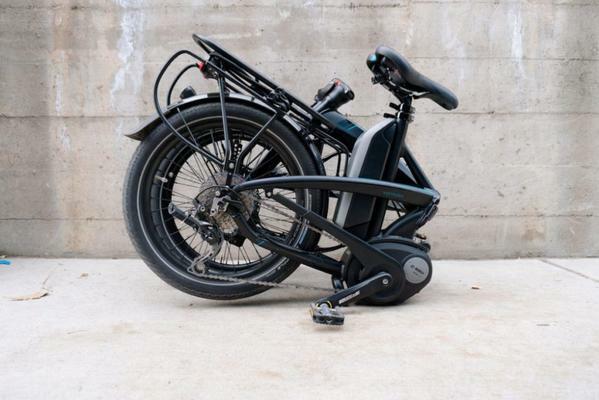 Second, it is a mid-drive electric bike. Third, the rear factory rack accommodates a Yepp rear child seat without an adapter. Fourth and final, it has fenders and self-powered lights (from the electric motor) already installed. We failed to mention one important detail, it rides beautifully. Let's get into the details and what we really think about this bike. The frame and overbuilt OCL+™ Frame Joint made it feel like a typical stiff aluminum bike. It never flexed too much, even when I was carrying a 28-pound kid on the back and out of the saddle pedaling. This honestly surprised me! 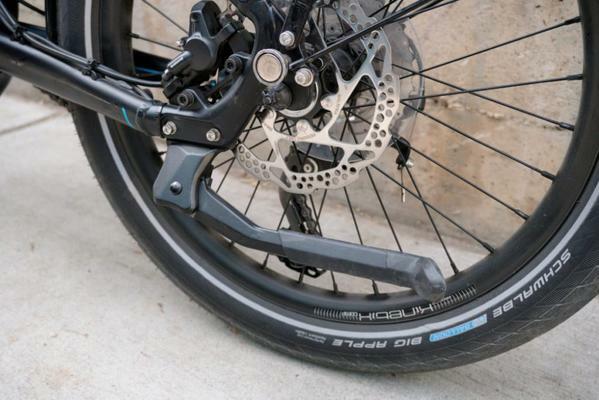 Tern uses a mountain bike drivetrain with a Shimano Deore 1x10 with an 11-34T cassette. This provided me with ample range loaded or not. The rear derailleur looked to be a long cage (I failed to check) and was a bit too close to sticks and rocks when I took the bike for an off-road adventure. I don't think most people would ever notice but I wanted to mention it. The most important part of this drivetrain to me is that it is both durable and clean. The 1x10 system prevents the need for a front derailleur and allows Tern to install a full-length chainguard to keep your pants clean. 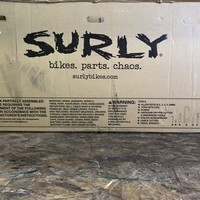 It really is a clean system and I hope more city bike brands go this direction. The bike overall fits several people that I had to try it out. 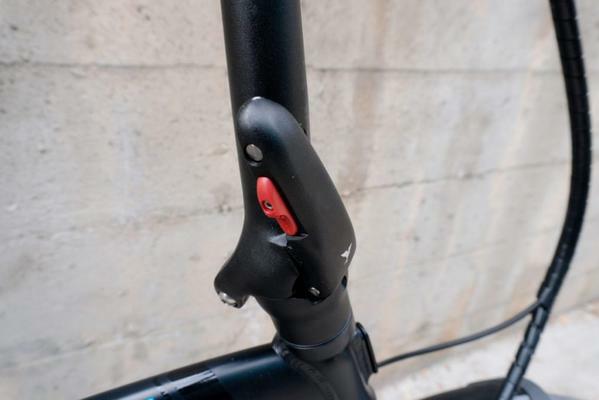 The seatpost has a 2 stage extension that is well marked so that it can fit really small to pretty tall people. My favorite part was the easily adjustable stem. I wish more bikes came with this! This bike is considered a Class 1 in the United States. This means it provides pedal assist up to 20mph (technically 19) and does NOT have a throttle but does have buttons on the left of the handlebar to change how much assistance you are receiving. The battery is well integrated into the frame but not a pain to get out. A great improvement over Tern's previous models that had the battery strapped to the top tube. Without going into crazy details, the Bosch Active line just works well. In the future, we will have an article or video explaining the differences but as I write this, it is the industry-leading mid-drive option. The Bosch mid-drive system is one of the most widely used mid-drives in the United States right now. Shimano and Yamaha are coming on more brands but Bosch really did a great job going into 2017 getting on the most bikes. With this in mind, most e-bike dealers have a Bosch charger on hand and a Bosch certified mechanic (the first to me is the most important!) I hope that electric bikes catch on, and maybe chargers become more standard so that destinations like bed and breakfast or transit stations have chargers on hand like you would see for an electric car! The mid-drive motor on the Vektron gave a very well balanced folding bike. This is something that most probably wouldn't think about unless you've had to carry folding bikes or wheel them around when folded. The bike is well thought out. From the wrapping of the front cables to the built-in bungee on the rear rack, and the storage for the easily removable pedals behind the saddle. I loved that besides a lock this bike is ready to be ridden the moment you pick it up. 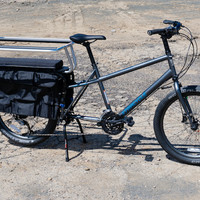 It comes with durable tires, fenders, rear rack, and lights already installed. What really won me over on this bike was that the rear rack was designed for a Yepp seat! 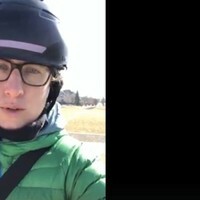 I didn't spend a lot of time riding with my daughter on the back since it was freezing cold the whole time I had the bike but it rode very well when we did. 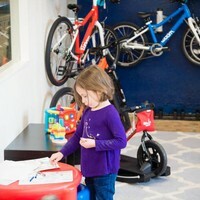 For me, a parent that wants to ride with my kids often is that Tern took the time to think about that instead of telling me to buy an adapter or buy a different rack. I hoped to get a video of this and will in the near future but the folding process was very simple thanks to large handles. My only wish is that the handles were labeled with numbers of what order to do things. No bike is perfect for everyone. There were a few things I personally wasn't a fan, your results may vary! The kickstand was a huge disappointment. 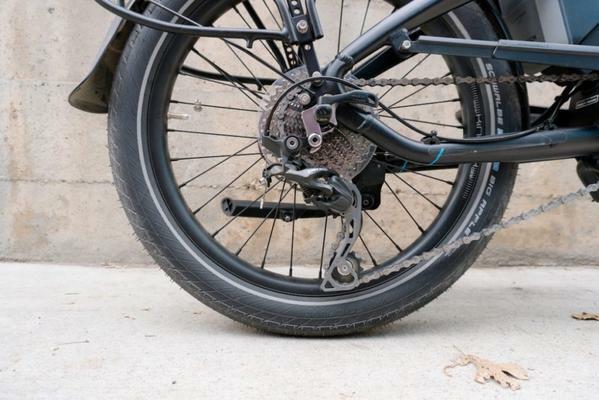 If you carry cargo extensively then you'll know how important it is to have a solid kickstand to rely on when strapping your kid or groceries to your bike. I would love to see a stable double kickstand option. The front light was a bit big and bulky in my opinion. With so many lights on the market, I would think there would be a something a bit more clean. The last thing, completely personal preference, is to have a 2nd color option other than black. Who is the Tern Vektron For? After trying different bike rides, commutes, and multimodal excursions with this bike, here is who I think the Tern Vektron is for. I think this bike is a great option for ANYONE wanting to commute by bike. 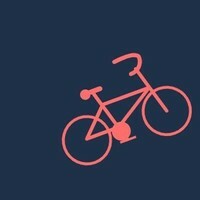 It allows the flexibility of hopping in an Uber or friend's car and bringing your bike with you. You can store it under your desk if your work doesn't have great bike parking (Who really wants to lock up their $3500 electric bike?). You will get to work less sweaty and faster thanks to the electric motor. This is hands down the best folding bike I have ridden. If you don't need electric, Tern does make non-electric folding bikes too. 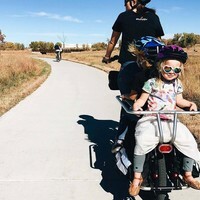 This bike is perfect for when you want to bike with your kids but the cargo bike is too darn big or not easy to transport to where you are going. Example: Take the train downtown with your kid on the Yepp seat instead of trying to squeeze your cargo bike into the train. I love this bike. After working for 18 years in the bike industry I don't say that statement very often. I think this bike can solve many people's concerns about folding, electric or carrying kids because it does all of them pretty darn well. 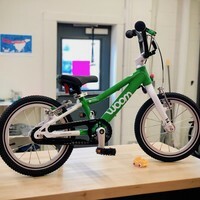 While our family personally has a Tern GSD on order, this Vektron is on my short wish list once both of our kids can ride on a bike (we have a 1-month-old as I write this!) If Tern comes out with a Vektron S10 in a brighter color it will be very difficult for me to not buy one. Personally, I love the idea of pairing down to fewer bikes. I love that it can fit various sized guests and family that visit, and the electric assist will provide them with the confidence to ride. Finally, as our kids grow and we travel with them more two of these can fold down pretty well in the back of our minivan so that we can take them to the mountain towns where electric assist when carrying kids is much appreciated! At Bike Here, our goal is to help remove barriers to get more people cycling. This Tern Vektron S10 does exactly that. 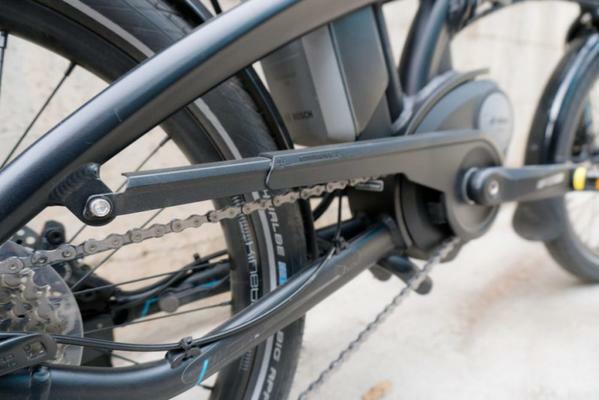 The biggest barrier to this bike is obviously the price of $3500 but with time electric bikes will become cheaper and more will be available on the used market. If this replaces a car or transportation costs then it will pay for itself immediately. 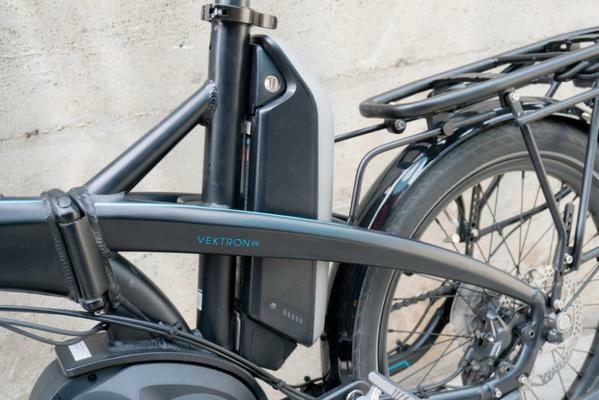 You can check out the Tern Vektron S10 electric folding bike here, and thenew Tern GSD Cargo bike here. Disclaimer: This bike was provided for review and returned to the manufacturer. We were not paid or bribed in any fashion for this review but do sell this bike because it is awesome.